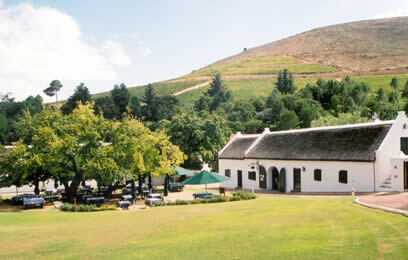 Morgenhof is one of the unsung heroes of the South African wine scene. We don’t hear a lot about them in the UK, but their fantastic range doesn’t really put a foot wrong. The entry-level Fantail wines are tasty as well as being commercially astute, and all the estate wines are pretty smart. For more backgrond on Morgenhof, see an earlier review of their wines, and also an account of dinner with Rianie Strydom, who used to be winemaker here.